Karena has been leading the direction of the organization since its inception in 1999. In this time, she has authored three books: ScolioPilates, OsteoPilates and The Pilates Golf Athlete. In addition to the techniques described in detail in her three books, she is also developing NeuroPilates. 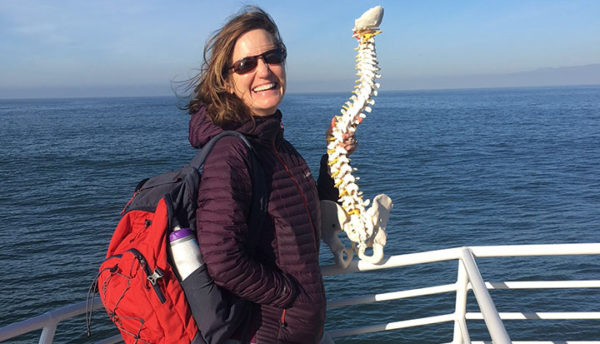 NeuroPilates is based on her interest in Traumatic Brain Injury and her initial work with the Wounded Warrior Batallion at the San Diego Naval Medical Center in the Comprehensive Combat and Complex Casualty Care Unit (C5 Unit). Her interest in helping those with complex conditions with exercise management tools was initially fed by her 10 years as the director of Pilates at SCV Therapy Services in Valencia, California. From the therapy center, to her own studio, to the thousands of people Karena meets in her travels, her clients have always been her teachers. As a result of her work, she was asked to host Pilates for Healthy Bodies on American Public Television where the special aired for 2 years. Simultaneously, she hosted her own radio show on AM1220 KHTS: Alive & Well Radio. In addition, Karena enjoys and has done several guest expert appearances on network television. In 2017, Karena was asked to bring her Scolio-Pilates program to Dayton Children’s Hospital in Dayton, Ohio. At Dayton Children’s, ScolioPilates is part of the medical treatment plan for eligible patients with scoliosis. This milestone is the first step in fulfilling the organization’s mission to make three-dimensional exercise a part of all scoliosis medical management programs (traditionally, scoliosis is managed through observation, bracing and surgery). Karena, through the organization and the support of the medical community, is striving to continue work with more hospitals and the medical community to continue to fulfill this mission in a bigger and bigger way.